Da Couch Tomato: Review: Mumbai Love, or Why the hell is SamYG not in this film? 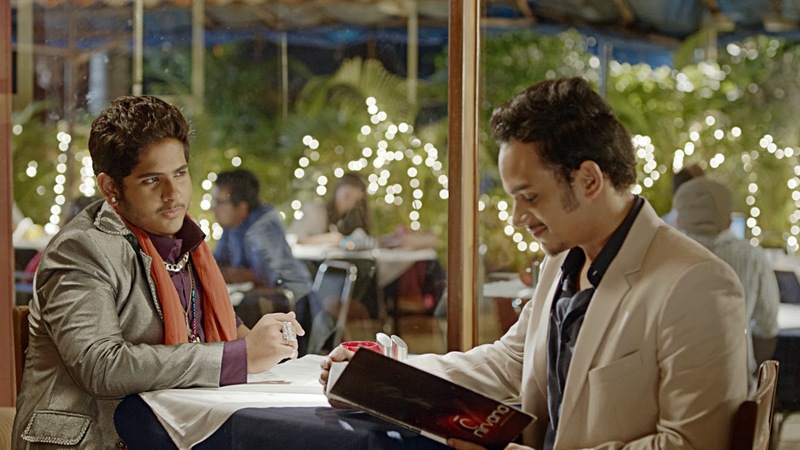 Review: Mumbai Love, or Why the hell is SamYG not in this film? 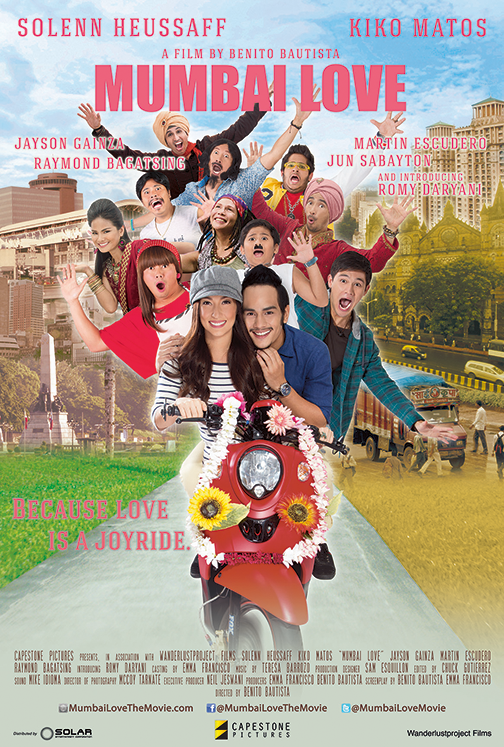 Mumbai Loveis an ambitious Filipino movie that has a lot of potential and eyeliner. It's a rom-com that uses neat camera tricks (or whatever that's called in film jargon), such as couple-only slow-mo, or magically changing shirts off-frame, and also Bollywood dancing, which in my humble opinion looks better onscreen with a flash mob-like number of participants rather than just a few handfuls. 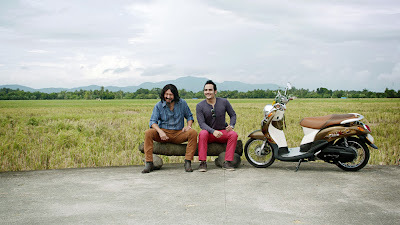 It also aims to bridge the culture gap between Indians and Pinoys. Ella: "Yes, we can flirt and all, but no kissing even on our wedding. First, the rom-com aspect may have worked if only the script or events allowed for the audience be more emotionally invested in Ella (Solenn Heusaff) and Nandi (Kiko Matos). There was little to go with in terms of why I should root for both of them to find each other again and reconcile, or why Nandi's parents should accept Ella (more on that later). Maybe I wish they also had a tad bit more chemistry. While the film is beautifully color-coordinated and shot with good light, I somehow didn't have an idea of the story's time frame, which was weird. Cousin Romni: "Why don't I get a girlfriend-of-the-girl 'partner?'" Two, the supporting cast carried the sub-par acting skills displayed by the two leads. Martin Escudero (Marco), Jasyon Gainza (Mama Nika), Ronnie Lazaro (Mang Mando), and Jun Sabayton (Beng) left me wanting to see more scenes with them. Even Romy Daryani (Romni) makes the best of his screen time, considering this is his first film. Heusaff and Matos try—and succeed sometimes—to act natural most of the time, which to me is always the goal (the actions and expressions of a character should feel natural rather than acted out). But somehow, their performances still fall short of consistently connecting to the audience their characters' experiences, which may also have been the fault of a script that's lacking. Bow to the Indie King that is Ronnie Lazaro. Learn from him, boy. Last, speaking of a script that's lacking, as for bridging the gap between two cultures, it would have been nice to know how Nandi's parents accepted Ella so quickly, given that they are hard-core traditional (which wasn't so firmly displayed, either). I also sort of expected the two love birds to have a taste of Indian cuisine or discuss some differences or similarities in values. I'm also still not too comfy about painting the stereotype of Indians on motorcycles who do 5-6, even if they're inherently good characters here—which may actually be true in life, don't get me wrong. It did, however, pave the say for playful costume and prod design. Like I said, ambitious in all aspects, but still not quite there yet on execution. That said, watching it was still pretty enjoyable overall. Mumbai Love gets 6.8 out of 10, inclusive of all things stated above, and Solenn's French lines and those damn legs. P.S. Wear a helmet when you're on a motorcycle, no matter how trendy your ride is, or how lovey-dovey the scene is. It's high time for movie scenes to follow road rules, too, so that maybe — just maybe — Pinoys would abide by them as well. P.P.S. So why the hell is SamYG not in this film? I don't know. But I think he would have rocked in this.